Open-ended style. 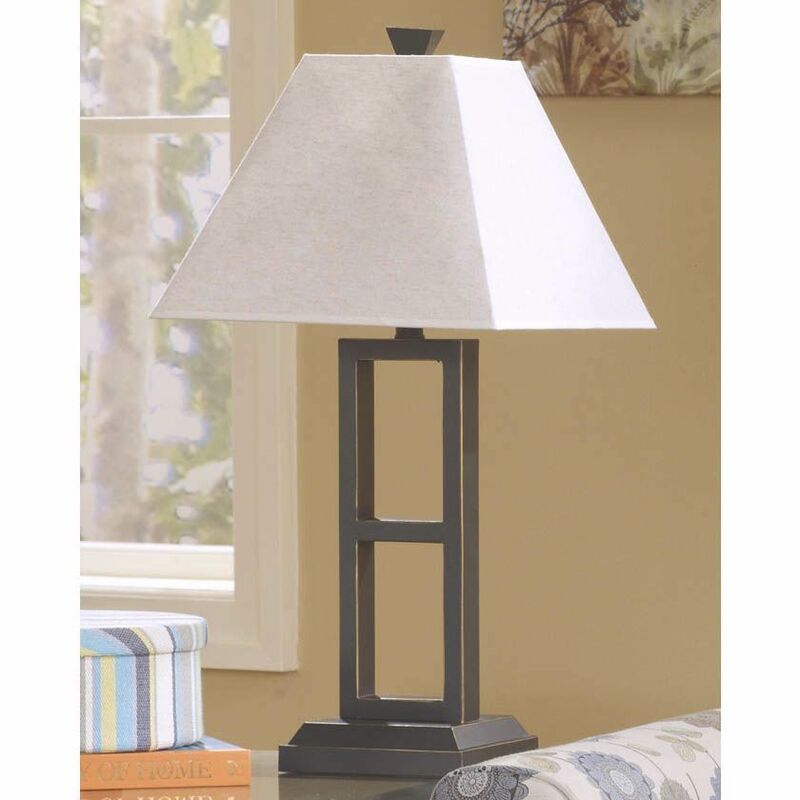 The strong linear design of a rustic metal base is softened by the textural waves of a chic linen-look shade. 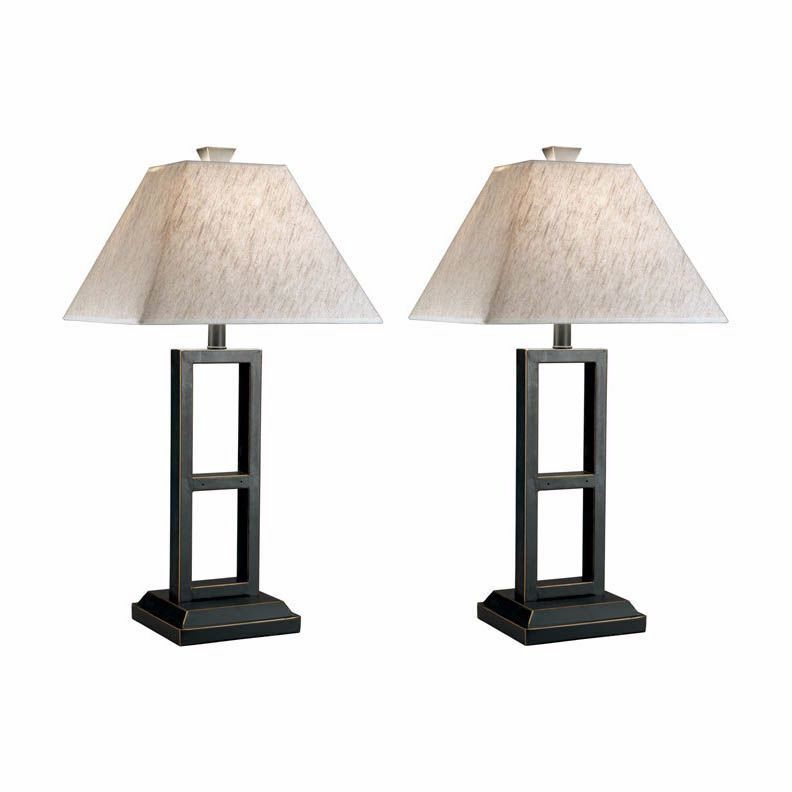 We love how the center cutouts keep the Deidra table lamps so light and airy.